You can find almost every tech savvy person talking about the crypto currencies they came up as the fastest way to make money but every shortcut has certain risks and scams associated with it. Same thing goes with cryptocurrencies. While talking about cryptocurrencies Bitcoin gained rapid growth and came up as broadly traded cryptocurrency in the world. Bitcoin mining is the way to generate fresh bitcoin and this process includes independent miners with no regulatory body to monitor them. This is the reason there are lots of scams associated with bitcoin mining. Here is all about some well-known Bitcoin Mining Scams. These were 2 almost same kinds of scams from the same people. Countless of money and thousands of people get affected because of these scams. The boom in the price of Bitcoin made everyone to dream to become a millionaire over nightly at the same time some people got hasty without having enough knowledge about how cryptocurrencies work rushed to mine or trade portal. AirBit club and Bit Advantage targeted such people and soaked all the money from them. They promised to give bags full of money but actually they did not give a grain of sand to anyone. If you are a bitcoin miner and keep looking for some revolutionary methods to mine bitcoins then you should beware of BitPenta. Its app promise to mine a bitcoin for you on astounding rate. In the beginning they charge a very less amount from you to they keep pretending that they are mining a bitcoin on the behalf of investors and will give you a remarkable return once they are done with the mining process which never happened actually. The website also shows you some kind of registration and incorporation documents, but they are totally fake. It is nothing more efficient photo editing work. The company is not even registered. The scam is not solely associated with bitcoin mining but it is also associated with the mining of other cryptocurrencies such as Litecoin and ethereum. They usually target investors with the lack of research. After taking money from our pocket on the name of investments they start mining but they never tell that what exactly they are mining. Another clear indication is that the application is unlicensed which clearly proves that BitAdvisor is nothing but a bitcoin mining scam. Though any license or regulatory agency has never put its hand on cryptocurrency licensing but unlike bit advisor you can find some white hat apps for the trading. The app was designed to steal money from people and is now considered as illegal. If you will go through the website you will find a bogus certificate and some fake information in ‘About Us’. The website is full of fake promises to give you surprising profits which cannot be generated through any mining system in the world. If we go to the depth of mining process then getting 1% ROI in a day is a great deal when Signatex promise you around 150%. The name itself can make you think if it is really a scam or a genuine platform to deal in cryptocurrency mining system. The website may look genuine but when you will try to claim your money you will not actually find anyone to do so. While browsing the website something which will make you laugh is Education centre. It is hard to imagine that someone can become a cryptocurrency expert by learning from a fake website. Thousands of people failed to get any money out of this system hey simply take away your money or crypto currency with a promise to mine more coins for you but in the end, you will get nothing. So, these were some of the well-known bitcoin mining scams. Because crypto currencies are considered as the fastest way to make money and in last few years some crypto currencies such as Bitcoins has shown remarkable growth but that should not be the reason for you get into wrong hands. 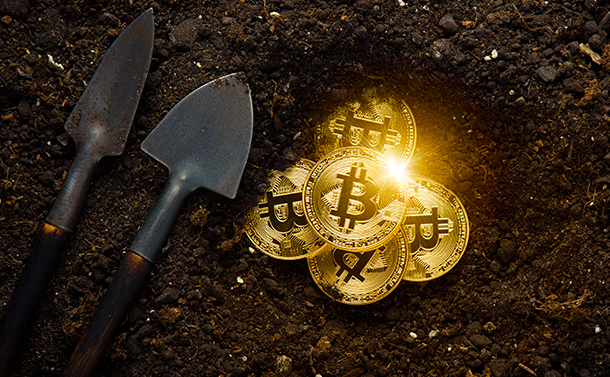 Cryptocurrency Mining is a critical process to create fresh ones and you should understand it before you are go for any investment.